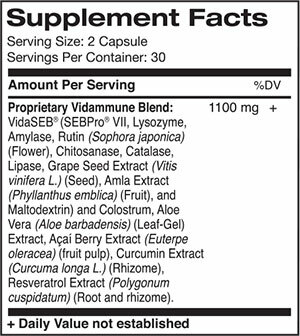 A powerful blend of all natural enzymes and potent antioxidant herbs that supports the body’s natural healing ability, and promotes healthy immune system response. Lysozyme Amalyse: Lysozyme is a naturally occurring enzyme found in many organisms including plants and animals. Biologically, Lysozyme attacks the cell wall of certain pathogenic bacteria. Rutin: A well-known bioflavonoid with strong antioxidant activity. Chitosanase: A lytic enzyme involved in the degradation of chitosan, a component of fungal cell walls including yeast like Candida. Catalase: A very natural immune enhancer and powerful anti-oxidant. 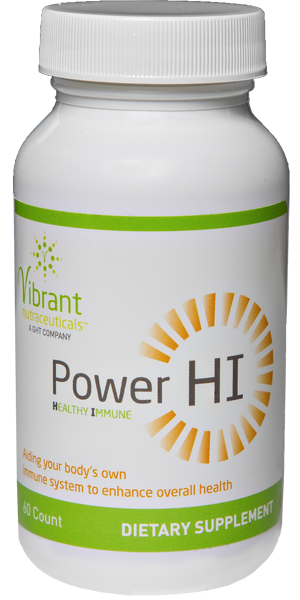 Studies demonstrate significant prevention of cell damage due to Reactive Oxygen Species. Lipase: A lipolytic enzyme produced by controlled fermentation. Lipase catalyzes the hydrolysis of triglycerides of simple fatty acids esters, yielding mono-glycerides and diglycerides, glycerol and free fatty acids. It has a broad substrate specificity on the fats and oils of vegetable and animal origins. Grape Seed Extract: A well-known antioxidant herbal extract. Colostrum: Bacteriostatic against a wide range of microorganisms including gram-negative (pathogenic) bacteria. Colostrum is a nutrient-rich fluid produced by female mammals immediately after giving birth that aids in the development of the immune system in newborns. Aloe Vera Extract: A very popular product Aloe vera juice is marketed to support the health of the digestive system. And, many other health benefits. Acai Berry Extract: Acai berry Extract is well-known antioxidant extract. It is one with the highest antioxidant potency. Curcumin Extract: A well-known antioxidant herbal extract. There a many studies about the health benefits of Turmeric Extracts.